So I've been QUITE absent from the cover game for awhile! That's due in part to finishing this semester of school, annnnnd going to Las Vegas for the first ever U.S. ROCK IN RIO!! m/ It was an AMAZING experience, and if you tune into my next Live Q&A, I'll be telling y'all all about how it's like backstage and in the press room at these massive music festivals! Anyways, I am BACK for good and I can't WAIT to give y'all more covers than you could ever imagine :) My voice is ready~ This one is another classic from Imagine Dragons! It was heavily requested after my "Demons" cover, and I really wanted to revisit this band. 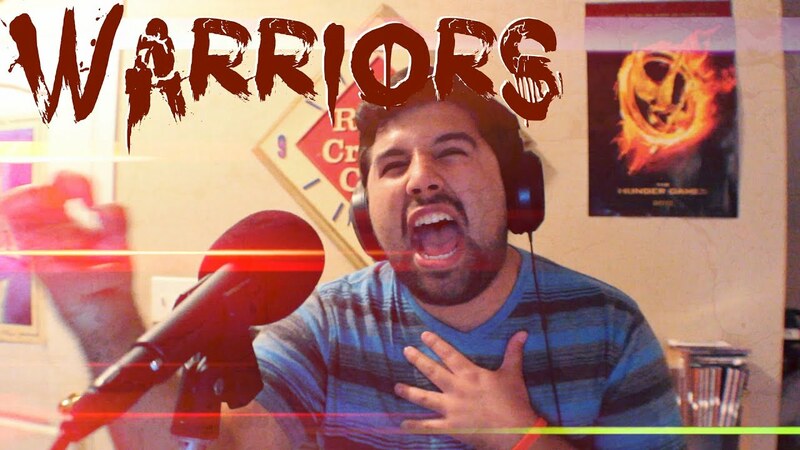 I mentioned in a comment on that video that I struggled with the Demons cover due to time constraints and general stress, so I decided to tackle Warriors with more vigor and focus than ever before. An arguably harder song, but this kind of music is right up my alley ;) I hope y'all enjoy this one, and let me know what you think below!